Top Rated Local® is pleased to announce that Francis Animal and Pest Control is a 2019 award winner for pest control companies in Minnesota! When it comes to pest control in Rochester, Francis Animal and Pest Control is the company to turn to. Francis Animal and Pest Control has received hundreds of reviews on five verified sites with an average rating of 4.49 stars, earning them a stupendous Rating Score™ of 89.86 and a 2019 Top Rated Local award for ranking among the top 10 pest control companies in all of Minnesota! “Francis Animal and Pest Control was quick to respond to our request through Home Advisor. 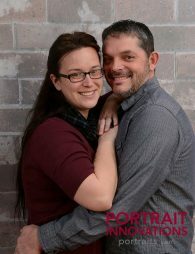 We had a quote within minutes, and they were able to set an appointment for two business days later. The technician… was very friendly, professional, knowledgeable and thorough, and we would definitely contact this business again if needed!” – Miranda J. We wanted to learn a little more about Francis Animal and Pest Control and its outstanding online reputation, so we took a few minutes to talk with the owner, Sean Francis. Sean also told us that, on top of all of their other services, they relocate a lot of animals. When asked about the Francis Animal and Pest Control secret to a strong online reputation, Sean told us that his technicians have laminated price sheets with them and that everyone is always on the same page and there aren’t any surprises. He also told us that they stand behind their work. Sean has grown Francis Animal and Pest Control to eight locations, and they are always growing. They get the word out about all of these locations through Facebook. 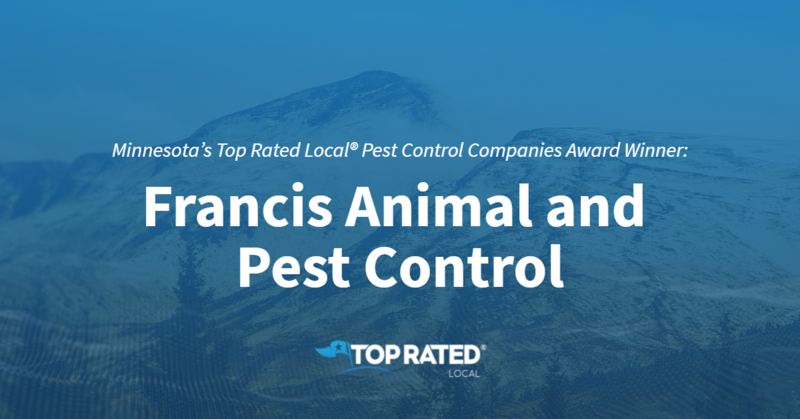 Congratulations to the team at Francis Animal and Pest Control for being a 2019 Top Rated Local award winner, and thank you so much, Sean, for taking the time to speak with us! We highly recommend Francis Animal and Pest Control in Rochester. Visit their website today! Top Rated Local® is pleased to announce that Termipest Inc is an award winner for pest control companies in 2019. If you are in need of some peace of mind regarding a pest issue, look no further than this award-winning company! Termipest Inc has received many overwhelmingly positive reviews across three different verified sites with an average rating of 5.00 stars, earning them an impressive Rating Score™ of 96.00 and a 2019 Top Rated Local award for ranking as one of the top three pest control companies in Mississippi! “I am a long-time customer, and I assure you, you will find none better than Termipest.” – J.B. It is because of excellent reviews like this that Termipest Inc is now able to call themselves a Top Rated Local award winner! We were excited to learn all about how Termipest Inc has been able to build such an impressive reputation, so we sat down with the owner, John Sprowles. The first thing we wanted to know was what it is that makes Termipest Inc stand apart from their local competitors. Speaking with John made one thing clear: he is so proud of his team. He told us that their training process is pretty extreme, and he knows that the professionalism of their company has to start with their employees. John went on to tell us how important it is for him to be certain about his team and the work they do. If a family has pest-control issues, he wants to be there to fix the problem. He wants families to be able to feel a sense of ease, and to be able to go about their days pest-free. Congratulations to Termipest Inc for being a 2019 Top Rated Local award winner, and special thanks to John for taking the time to speak with us! Top Rated Local® is pleased to announce that Tox-Eol Pest Manager Inc is a 2019 award winner for pest control companies in Kansas! For all of your pest control needs in Salina, turn to a pest control company you can trust by turning to Tox-Eol Pest Management Inc.
Tox-Eol Pest Management has received dozens of reviews on three verified sites with an average rating of 4.80 stars, earning them a fantastic Rating Score™ of 95.05 and a 2019 Top Rated Local award for ranking among the top 10 pest control companies in all of Kansas! “We have had Tox-Eol take care of our home and business for the past few years, and they always do a great job. Their staff is always courteous and professional, answers any questions we have and gets the job done on time. [I] can’t recommend them enough!” – Trey P.
Shonda Meitler, the co-owner of Tox-Eol Pest Management and President of the Kansas Pest Control Association, generously gave us a few minutes of his time to tell us about his award-winning business and its tremendous online reputation. Shonda went on to tell us that they help out locally at soup kitchens. Clearly, Tox-Eol Pest Management has done something right to have grown and built such a strong online reputation, and we had to learn their secret to success. Shonda told us that Tox-Eol Pest Management has gotten their name out there with the new database program they use, as well as through Facebook and advertisements in the Yellow Pages, television and magazines. Congratulations to the team at Tox-Eol Pest Management Inc for being a 2019 Top Rated Local award winner, and thank you so much, Shonda, for taking the time to speak with us! We highly recommend Tox-Eol Pest Management Inc in Salinda. Visit their website today! Top Rated Local® is pleased to announce that Insecteco Pest Company is not only the number one pest control company in Mississippi, but one of the top 50 businesses in the entire state overall! “[The] technician arrived promptly at appointment time. He was well groomed and very personable. He introduced himself and even had a dog treat in his pocket for our dog. He then proceeded to treat the interior from windows, cracks and crannies as well as under sink and the attic. I was impressed with all of the areas and different pesticides he applied. After spending considerable time on our interior he went outside to spray yard as well as brush away spider webs. I feel like the technician did a very thorough job and even came in after to explain and offer solutions. This technician was highly professional and knowledgeable.” -Suzanne G.
That’s just one of the dozens of outstanding reviews Insecteco Pest Company has earned, giving them a 98.66 Rating Score™, a 4.97 average star rating, and a 2019 Top Rated Local award! Danielle Pietz, the manager of Insecteco Pest Company, took some time to speak with us about the business’ remarkable online reputation. 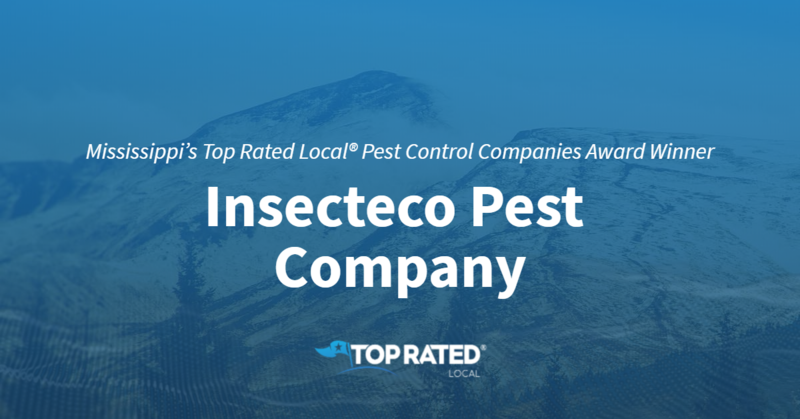 Congratulations to the team at Insecteco Pest Company for being a 2019 Top Rated Local award winner, and thank you so much, Danielle, for taking the time to speak with us! Top Rated Local® is pleased to announce that Paramount Pest Solutions is a 2019 award winner for pest control companies in Mississippi! 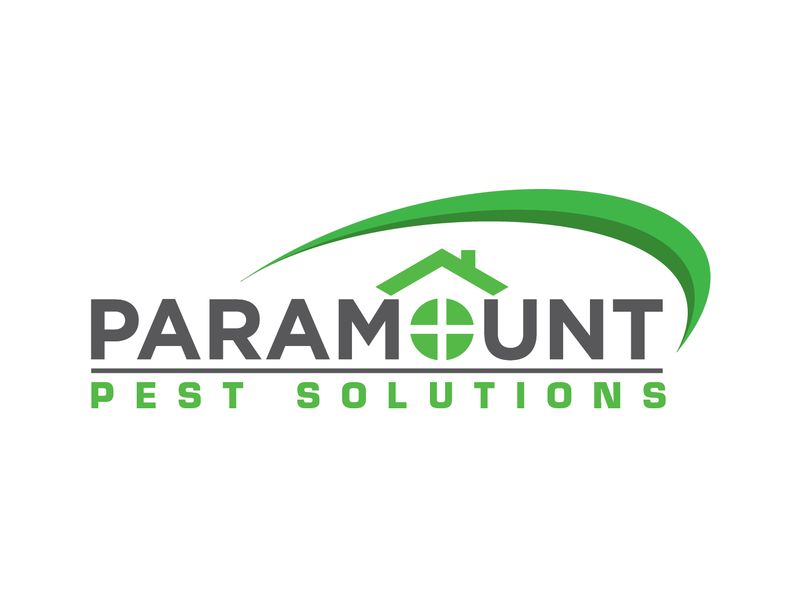 For all of your pest control needs in Gulfport, turn to the experts at Paramount Pest Solutions. Paramount Pest Solutions has received dozens of reviews on multiple verified sites with an average rating of 5.00 stars, earning them a stellar Rating Score™ of 94.00 and a 2019 Top Rated Local award for ranking among the top 10 pest control companies in Mississippi! “This company knows their stuff. They are friendly, very mannerable. Everything is explained well, and I definitely got results. I’m so happy, I haven’t seen a critter since they came by. [I] had to make a review because they deserve it. Keep up the good work guys.” – Briana W.
Chad Thornton, the owner of Paramount Pest Solutions, generously gave us a few minutes of his time to tell us about his one-of-a-kind business and its impressive online reputation. Chad credits Paramount Pest Solutions’ strong online reputation to their commitment to asking customers to give them reviews if they are satisfied with their service. 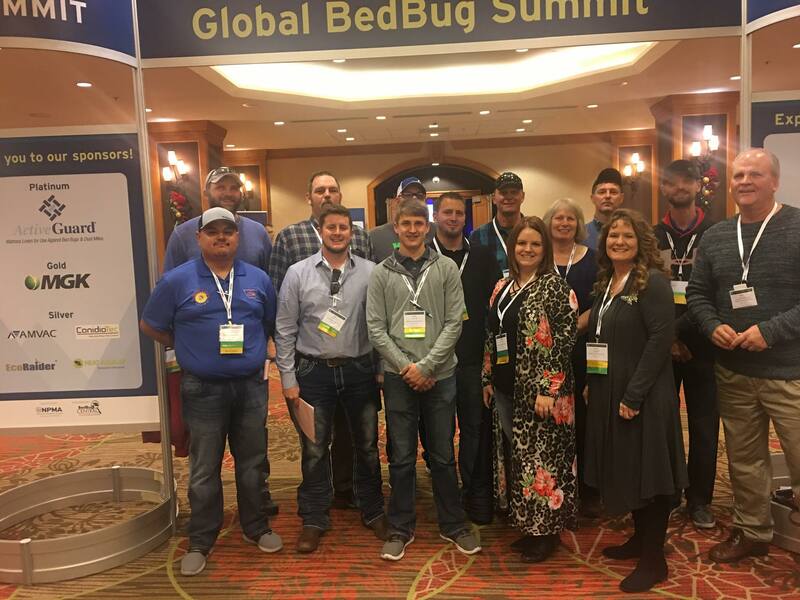 Congratulations to the team at Paramount Pest Solutions for being a 2019 Top Rated Local award winner, and thank you so much, Chad, for taking the time to speak with us! 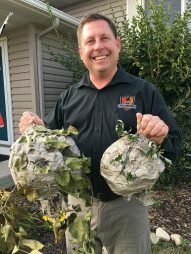 No matter what kind of pests are invading your home, we highly recommend working with Chad and his team at Paramount Pest Solutions. Visit their website today! 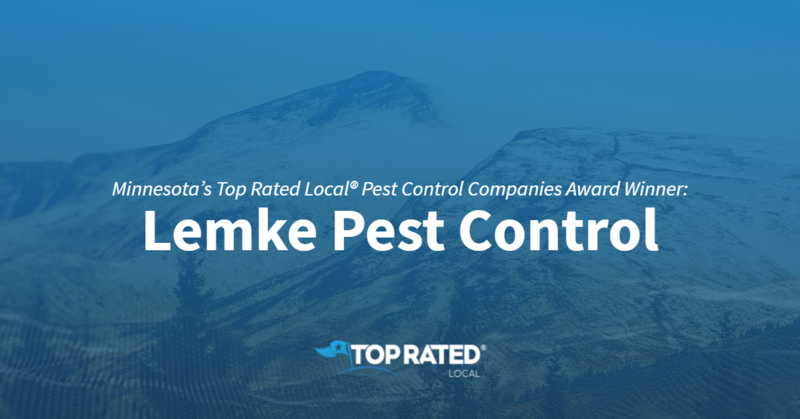 Top Rated Local® is pleased to announce that Lemke Pest Control is a 2019 award winner for pest control companies in Minnesota! Rely on a pest control company you can trust to get the job done right the first time by relying on Lemke Pest Control. Lemke Pest Control has received dozens of reviews on multiple verified sites with an average rating of 5.00 stars, earning them a spectacular Rating Score™ of 95.00 and a 2019 Top Rated Local award for ranking among the top 10 pest control companies in all of Minnesota! “We called him thinking we had a squirrel in the attic. He came out on a Saturday morning and discovered it was bats. Bat exclusion isn’t a service he provides, but he could recommend someone. He didn’t even charge us for the inspection, even though it cost him his time and wear and tear on his vehicle. He was very helpful, courteous and professional. l hope I never have another reason to call anybody for pest control, but if I do, this is the guy I will go to. By the way, when you call, you get to talk to him, not some random person at a national call center. That tells me he’s invested in his customers right from the start.” – Jennifer J.
Scott Lemke, the owner of Lemke Pest Control, generously gave us a few minutes of his time to tell us about his stand-out business and its incredible online reputation. The first thing we wanted to know was what makes Lemke Pest Control different from the many other pest control companies in Minnesota. He points to the fact that he always treats his customers courteously, and listens to them and takes proper care of them. We also asked Scott what their mission is at Lemke Pest Control and how they work to make the world a better place. He told us that their aim is to focus on treating people fairly, how they should be treated, and on respecting them. He also mentioned that they are actively involved in the community. Scott credits Lemke Pest Control’s strong online reputation to his commitment to always treating people fairly and doing what he says he will. Outside of building a powerful online reputation, Lemke Pest Control has gotten their name out there by sponsoring sports teams and by having a solid website presence. Congratulations to the team at Lemke Pest Control for being a 2019 Top Rated Local award winner, and thank you so much, Scott, for taking the time to speak with us! For all of your pest control needs in Rochester, we highly recommend working with Lemke Pest Control. Visit their website today! South Carolina’s Top Rated Local® Pest Control Companies Award Winner: Palmetto Exterminators, Inc.
Top Rated Local® is pleased to announce that Palmetto Exterminators, Inc. is a 2019 award winner for pest control companies in South Carolina! Gain the peace of mind in knowing that your home is in good hands by relying on Palmetto Exterminators, Inc. for all of your pest control needs. Palmetto Exterminators has received hundreds of reviews on four verified sites with an average rating of 4.89 stars, earning them an exceptional Rating Score™ of 96.86 and a 2019 Top Rated Local award for ranking among the top 10 pest control companies in all of South Carolina! “[This is the] best pest control team we have ever had! 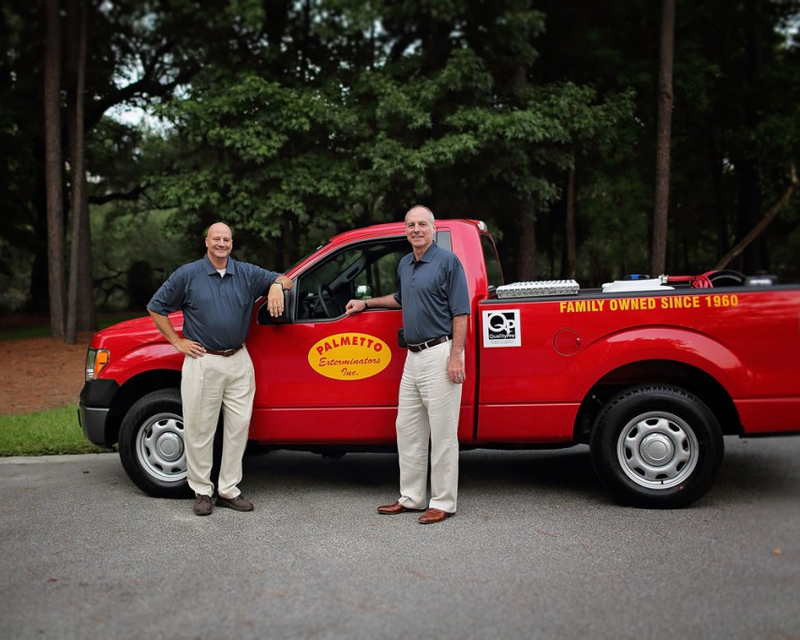 Palmetto Exterminators are true professionals who genuinely care about the service they render to their customers. [They are a] consummate professional team in the pest control business. We would definitely recommend them to anyone searching for an exterminator.” – T. R.
Nick Cummings, Branch Manager at Palmetto Exterminators in Charleston, generously gave us a few minutes of his time to tell us a little more about this one-of-a-kind pest control company and its outstanding online reputation. The first thing we wanted to know was what sets Palmetto Exterminators apart from the many pest control companies in South Carolina. Nick points to the fact that they are family and locally owned and that they are dedicated to providing a quality product. Nick went on to tell us about how they vet each and every employee to ensure that their team is the best, and he told us that they are focused on continuous training and education for both their staff and their customers. When we asked Nick what the Palmetto Exterminators secret is to a strong online reputation, he told us that they get reviews from their happy customers, which comes from their commitment to always deliver the best customer service. Not only has Palmetto Exterminators made a big impact online, but they’ve also grown their business to eight different branches, and according to Nick, they get their name out there by posting on social media and blogging, as well as through their big red trucks and word-of-mouth referrals. Congratulations to the team at Palmetto Exterminators for being a 2019 Top Rated Local award winner, and thank you so much, Nick, for taking the time to speak with us! For all of your pest control needs, we highly recommend Palmetto Exterminators, Inc. Visit their website today! Top Rated Local® is pleased to announce that NBK Pest Control is an award winner for pest control companies in 2019. If you are looking for a pest control company who will work hard to keep you pest-free, look no further than this award-winning company! NBK Pest Control has received many overwhelmingly positive reviews across a variety of verified sites with an average rating of 5.00 stars, earning them an impressive Rating Score™ of 94.00 and a 2019 Top Rated Local award for ranking as one of the top 10 pest control companies in Minnesota! “Brad had been wonderful to work with; he is nice, responsible, and acts quickly to all of our requests. I can always count on him to go out and take care of my pest control needs. If you need someone for pest control, look no further.” – Y.L. It is because of excellent reviews like this that NBK Pest Control is now able to call themselves a Top Rated Local award winner! 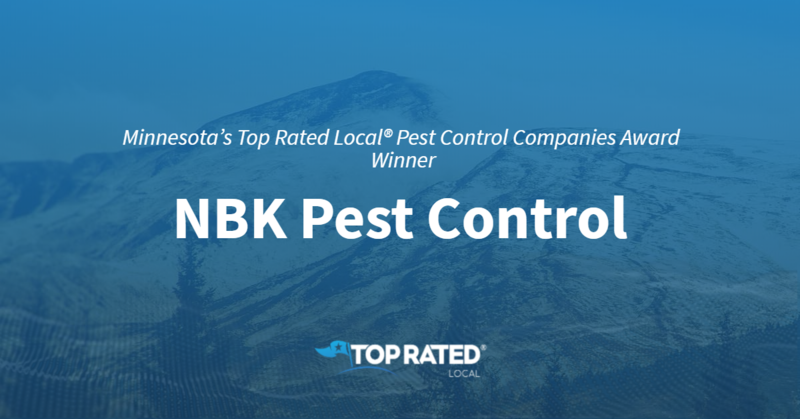 Congratulations to NBK Pest Control for being a 2019 Top Rated Local award winner, and special thanks to Bradley for taking the time to speak with us! 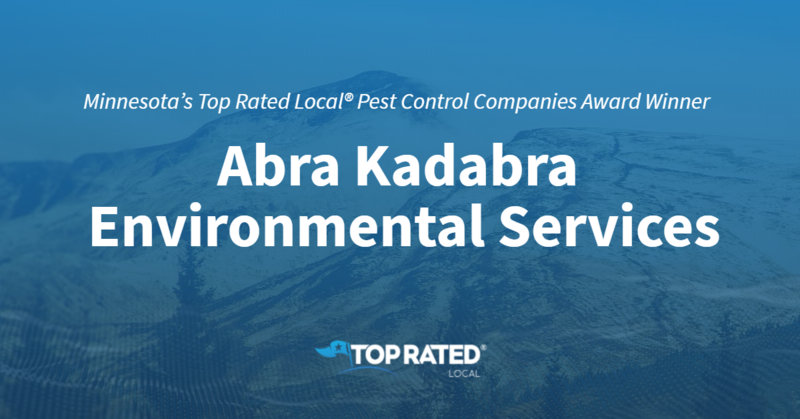 Top Rated Local® is pleased to announce that Abra Kadabra Environmental Services is an award winner for pest control companies in 2019. If you are looking for a pest control company that will commit to customer satisfaction in as environmentally-friendly a way as possible, look no further than this award-winning company! Abra Kadabra Environmental Services has received many overwhelmingly positive reviews across four different verified sites with an average rating of 4.91 stars, earning them an impressive Rating Score™ of 97.10 and a 2019 Top Rated Local award for ranking as one of the top three pest control companies in all of Minnesota! “[They are the] best local pest control company. I would recommend [them]. I love the fact they use natural products that are safe for my family and for my pets. I will use them for all my pest control needs.” – C.S. It is because of excellent reviews like this that Abra Kadabra Environmental Services is now able to call themselves a Top Rated Local award winner! Abra Kadabra also works to provide their services in as environmentally-friendly a manner as they can. 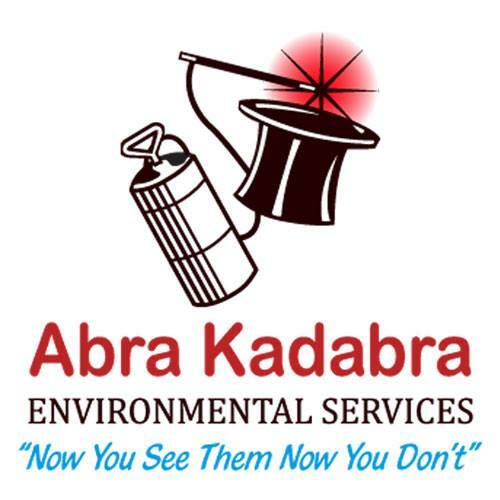 Abra Kadabra Environmental Services credits their success to word of mouth marketing and getting referrals from customers who had a great experience. Congratulations to Abra Kadabra Environmental Services for being a 2019 Top Rated Local award winner, and special thanks to Matthew for taking the time to speak with us!